Metso has been awarded First Place in the Best Performance Supplier category in the Mineral Processing segment, according to the results of the fifth "Ranking of Suppliers of the Mining Industry" made by Phibrand - a company specializing in industry marketing - in conjunction with the Ministry of Mining, Industrial Suppliers Association of Mining (Aprimin), National Mining Society (SONAMI), Association of Engineering Consultants (AIC) and Editorial group EDITEC, a leading publisher of the most important economic sector publications. The Ranking of Suppliers of the Mining Industry is a globally unique quantitative survey in the mining industry. The survey makes it possible to determine the position that each evaluated supplier company occupies and its direct competition in its target market. The information collected is the broadest of the domestic industry in terms of coverage of segments of this market, evaluated brands and participation of mining companies and their professionals. In this fifth survey, 238 industry professionals, including those in senior management, area managers and from operational headquarters, from the most important mining companies operating in the country took part. "It's a huge privilege to receive for the fifth consecutive time this survey's recognition that places our brand at the pinnacle of excellence. The market is becoming ever more challenging, and we have managed to make a big difference for clients through our knowledge, people and solutions," said Aldo Cermenati, Senior Vice President, Pacific Rim Market Area/Country Manager, Metso Chile, who also noted that, "This award indicates that we enjoy top-of-mind recall among suppliers of mining in Chile, and the results of this survey support the work of the company as a global network and demonstrate our strong commitment to the industry." Among the factors analyzed in this survey were levels of trust in the brand, quality of products and services, responsiveness to problems, and opportunities to meet future challenges. In 2015 Chile was Metso's third largest country in terms of net sales with EUR 196 million. Metso received orders worth of EUR 179 million from Chile last year making it Metso's fifth largest country in terms of orders received. 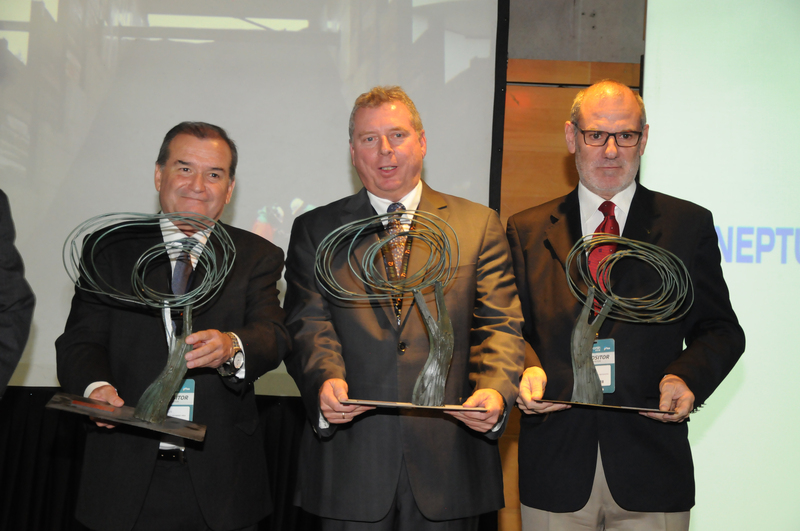 In 2015 Metso employed around 770 persons in Chile. 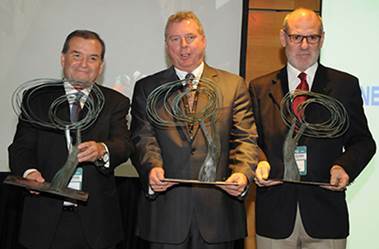 In the picture: (from the left) Aldo Cermenati, Senior Vice President, Pacific Rim Market Area, Metso, Fernando Samanéz, Vice President, Mineral Processing Solutions, Pacific Rim Market Area, Metso and José Luis Olaeta, Life Cycle Services Manager, Metso, receiving the award.